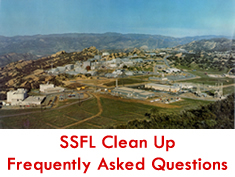 The US EPA has announced the results of a three year survey of contamination in Area IV and the Northern Buffer Zone of the Santa Susana Field Laboratory (SSFL.) Though Boeing claimed it had cleaned everything up, EPA found hundreds of locations with contamination, a half century after a partial nuclear meltdown and other accidents. EPA found 291 soil samples with Cesium-137 contamination, at levels up to 1,000 times background and far above EPA’s remediation goals for unrestricted use. In addition, 153 samples had strontium-90 contamination, at levels up to 284 times background. A petition to bring back the Santa Susana Field Laboratory (SSFL) Interagency workgroup has been signed by over 200 people. The petition requests that DTSC reinstate the Workgroup, which has served the community, elected officials, and media for over 20 years. *UPDATED – Community efforts successfully revive SSFL Work Group! Next meeting February 5, 2014. Assemblymember Julia Brownley issued a press release on March 5, 2012 regarding new EPA data that show substantial radioactive contamination at the Santa Susana Field Laboratory. The Rocketdyne Cleanup Coalition and allied organizations including the Southern California Federation of Scientists, Physicians for Social Responsibility-Los Angeles, and Committee to Bridge the Gap have filed a Amicus Brief in opposition to Boeing’s efforts to overturn SB990, the state cleanup law for the Santa Susana Field Laboratory.